Quilting class homework has occupied most of my crafting time lately. Monday is our last class, so I thought I would show you my progress thus far. That pretty much says it all. We spent 2.5 hrs cutting and sewing - I chose the traditional rail fence pattern so the layout and sewing was pretty straight forward. 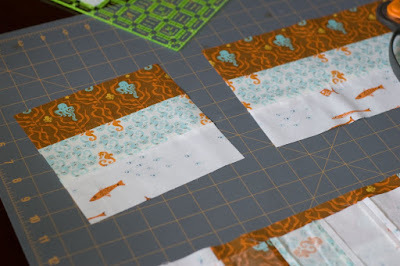 The border cutting and sewing went pretty quickly. Sandwiching was much easier than with Shay's t-shirt quilt. Crafty Planet has a large table that is big enough to fit the quilt so there's no bending over and pinning on the floor. 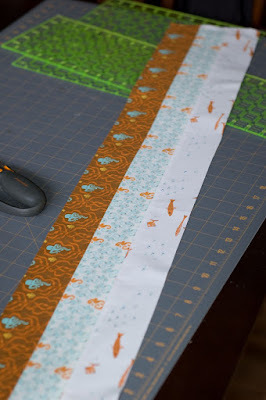 Next week is our last class- cutting and attaching the binding. 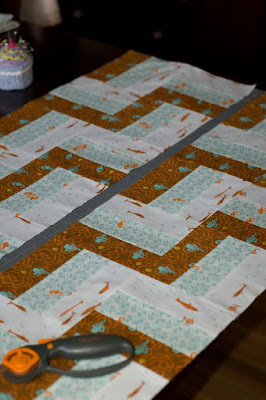 I'm attempting to actually quilt the top this week so it's finished for class Monday. I've spent 2 hours on it so far and am about 1/4 done I should get it done in time. 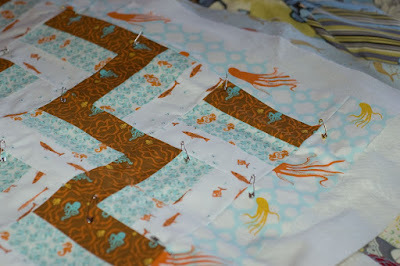 More on quilting later.